Can I have a new mobile phone? 20°C, heavy storms with thunder. The sun gets a look in too. I have a Samsung Galaxy Mini II. It runs really badly, sometimes with a 30″ delay before text appears on screen. Internal memory is low most of the time (about 90-120Mb) despite running a cleanup app. several times a day. 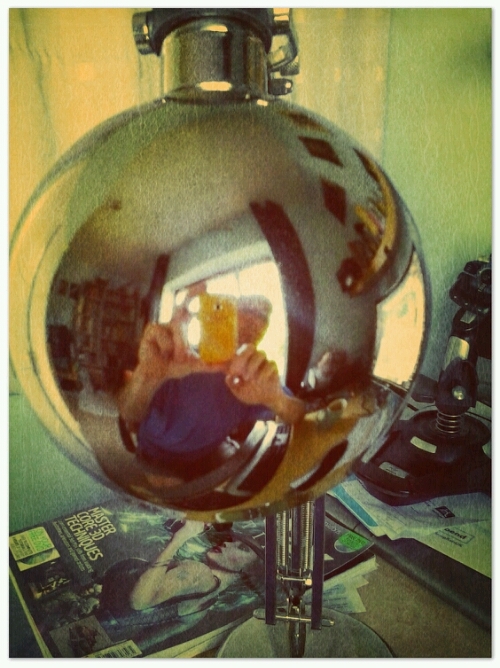 Here is my mobile, reflected in an angle-poise lamp. First thoughts: Galaxy Mini III. More RAM, better camera, dual-CPU and an easy swap for my current sim card. The screen is supposed to be brighter (Amoled) which may mean the phone is usable in bright sunlight. I have a cheap but more than adequate contract where I pay £7 per month. Data, calls and text are more than enough- I have never gone over the monthly cap. Only trouble is- the best deals seems to have gone. There were several below £100 a few months ago. Is summer a bad time to buy a new phone? Perhaps I should wait until after my holidays where the chance of loosing the phone is higher.